Hillel Krauss (Canada/Israel) will teach Shinui Martial Dance with an emphasis on understanding how to realize in movement and inner experience the interplay between Contact Improvisation and the Martial Arts of Tai Chi Chuan and Aikido. Shinui Martial Dance is a solo and partner dance form practiced with comfort, awareness and consciousness. Similar to Tai Chi Chuan, Shinui Martial Dance is an inner practice emphasizing the inner feel of movement and relationship with one's self and partner in the dance. We will practice the dance primarily with a partner in the roles of leader and follower. The skills, necessary to harmoniously respond and give directives in these roles, will be taught. We will also be practicing how to improvise based on the idea that self expression emerges out of organizational awareness. This improvisation practice will be a key element in understanding how to move with our partner. Hillel Krauss began training in the movement arts at age 15 with Karate, at age 18 with modern dance and at age 22 with Tai Chi Chuan. In 1975 Hillel first exprienced Release technique and Contact Improvisation both through Danny Lepkoff. In the same year Hillel met Lisa Nelson at Bennington College and recognized her ability to see and express the meeting point between self and movement. Contact Improvisation, the work of Steve Paxton and Lisa Nelson, masters of Tai Chi Chuan and Aikido, the music of Bill Dixon, Milford Graves and The Grateful Dead all had a profound impact on Hillel leading him to practice and explore Improvisation, Martial Arts and Contact Improvisation and begin to teach the relationships between these practices starting in 1980. In 1982 Hillel first began developing a new form of dance called Martial Dance along with Lyoyd Blake and Robin Feld. The two original sources of inspiration were Contact Improvisation and the work of Master Milford Graves. 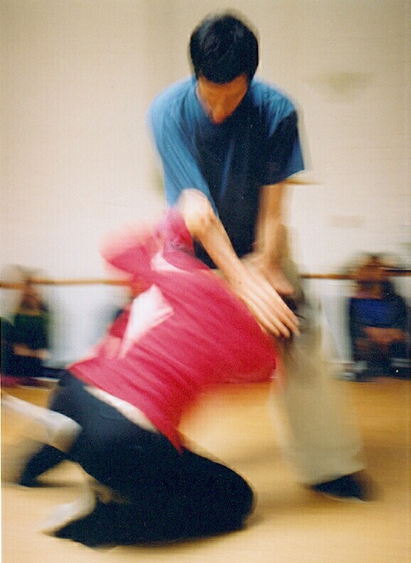 At first Martial Dance was simply research into the possibilities inherent in the bringing together the body awareness and practice of Contact Improvisation and techniques found in the Martial Arts. Later this research became influenced by the work of Moshe Feldenkrais and the spiritual teachings of Hassidic Judaism. In 1998 after 16 years of research and evolution the name of Martial Dance was changed to Shinui Martial Dance. This name change was done to more accurately reflect the transformation of Martial Dance into a spritual path and dance form. Currently Hillel guides a community of 30 teachers practicing Shinui Martial Dance in the US, Canada, Germany and Israel. 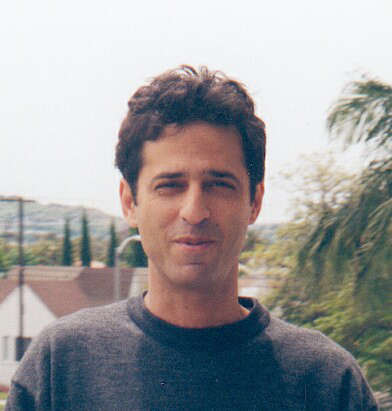 Hillel lives in Toronto, Canada and travels often to teach.